Are you a closeted talent house, doing things differently and creating wonder? It’s time your talent was recognised. I Made It is a platform that helps you showcase your entrepreneurial talent and open a window for you to show off your products to the world. Mostly encouraging home-based entrepreneurs, these guys promote a lot of good things on their website, by selling their products. Be it an artist making funky things with strings (Dori Killi) or grandma baking your favourite cookies or even your neighbour designing some gorgeous handmade cushions, it’s all ready to buy. Just so you know, the prices are decided by entrepreneurs themselves. We personally love the stuff they have on their website. 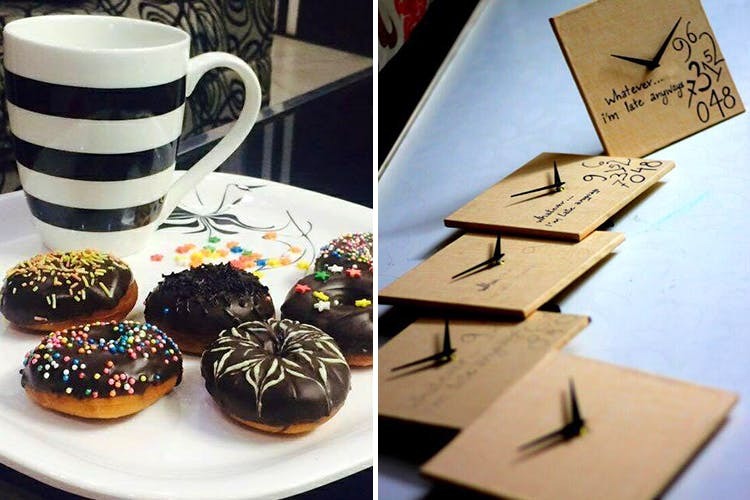 Be it food or baked goods, beauty or even recycled cutesy stuff, their stuff is definitely a looker. Check out their website and decide for yourself. When we tried ordering, we usually got the message that the website has no error. If that happens to you as well, try DMing them on their Instagram handle instead.